Parents who have children with nut allergies know all too well that in order to protect their children they have to keep them away from peanut-based foods. A recent study however, comes to stir the waters of allergy prevention by suggesting a much “nuttier” solution. According to this study, getting exposed to peanuts in small doses while you are a baby might be the biggest weapon against developing a more serious reaction to peanuts when you are an adult. The new study published in the New England Journal of Medicine states that the introduction of peanut products into the diets of infants at high risk of developing peanut allergy was safe and led to an 81 percent reduction in the subsequent development of the allergy. More specifically, researchers led by Gideon Lack, M.D., of King’s College London, designed a study called Learning Early About Peanut Allergy (LEAP). The study was based on observations that Israeli children have lower rates of peanut allergy compared to Jewish children of similar ancestry residing in the United Kingdom. The study tested the hypothesis that the very low rates of peanut allergy in Israeli children were a result of high levels of peanut consumption beginning in infancy. The study involved more than 600 children between 4 months to 11 months old, in England. The children were thought to be at risk for peanut allergy because they were allergic to eggs or had eczema, a skin condition that’s a frequent allergy symptom. Those children were assigned randomly either to avoid peanut entirely or to regularly include at least 6 grams of peanut protein per week in their diets. The researchers assessed peanut allergy at 5 years of age with a supervised, oral food challenge with peanut and the results were surprisingly promising. 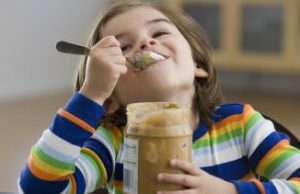 In particular, an overall 81% reduction of peanut allergy was observed in children who began early, continuous consumption of peanut compared to those who avoided peanut. Early peanut consumption works in preventing peanut allergies later in life in the same principle vaccines work; the immune system needs a taste of what it may have to fight. After getting exposed to specific harmful organisms like viruses and bacteria, the immune system designs a defense system aimed to target those should they ever enter your body again. This is called acquired immunity, and a similar mechanism may be at play when it comes to a peanut allergy. 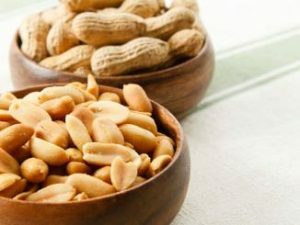 These findings will have major implications on public health guidelines since the World Health Organization recommends that you must avoid peanuts if you are allergic. Still, there are a lot of questions yet to be answered before these findings are incorporated in our everyday life. For instance, how much exposure is needed to keep a serious peanut allergy from developing into adulthood? Until then, follow your doctor’s advice at all times. The babies in the study were checked to make sure they didn’t already have a peanut allergy before they were fed foods that included peanuts, so parents of babies thought to be at risk for an allergy should NOT try this on their own!